blog — Pencil & Paper Co.
a few of our favorite sale finds! DEAL ALERT! Have you popped over to Tory Burch to shop the site’s private sale? Right now is truly the best opportunity to snap up Tory Burch pieces at a fraction of their original cost! We’ve rounded up some of our favorite finds below and how we would wear these sale items! For a chic night out on the town… we’d pair this opulent botanical dress with these statement making earrings, these cap toe heels, and this honeypot bucket bag for a complete look. For spring break… we’ve got the perfect outfit! LOVE is an understatement with this linen caftan. Make sure you take a peek at the raffia, seed beads, wooden rounds and fringe tipped with seashells details… they’re absolutely swoon worthy. We’d wear the caftan with these tassel earrings (under $70! ), a pair of these capri style sandals (on sale for $8), and these retro inspired sunglasses. Need to transition from day to night? Just swap out the sandals for a pair of these metallic heels and this frame bag in a fun color! For weekend fun… need an outfit for brunch with your girlfriends? We’d sport this camel color coat (on major sale), our go-to jeans, a classic cashmere sweater, this patent saddlebag (under $200), a pair of slingback pumps, and top it off with these sunglasses. For date night… we are swooning over this feminine silk dress (over 60% off), and would accessorize with these block heels, a petite satchel, and a pair of statement earrings like these sea inspired twist earrings (currently 50% off). For a poolside day… we adore this embellished v neck tunic, with this daisy one piece (which by the way has built in SPF 50 sun protection), these oversized black frame sunglasses, a classic straw hat, and these bow sandals. how darling are the tiered sleeves on this dress? in need of a parka? This is a deal not to be missed! Serena and Lily Lighting Sale! You do not want to miss the incredible Serena and Lily SALE going on this weekend - up to 25% off all lighting! They are one of our very FAVORITE sources for lamps, pendants, and sconces and we could not be more excited about all the great deals! Need a new table lamp? Check out this handwoven wicker lamp and this textured shell lamp! This is another one our favorite lights to brighten up spaces! We have always loved this classic floor lamp and think it’s about time we added it to our cart! Are you in the market for new sconces? We adore this this timeless option! 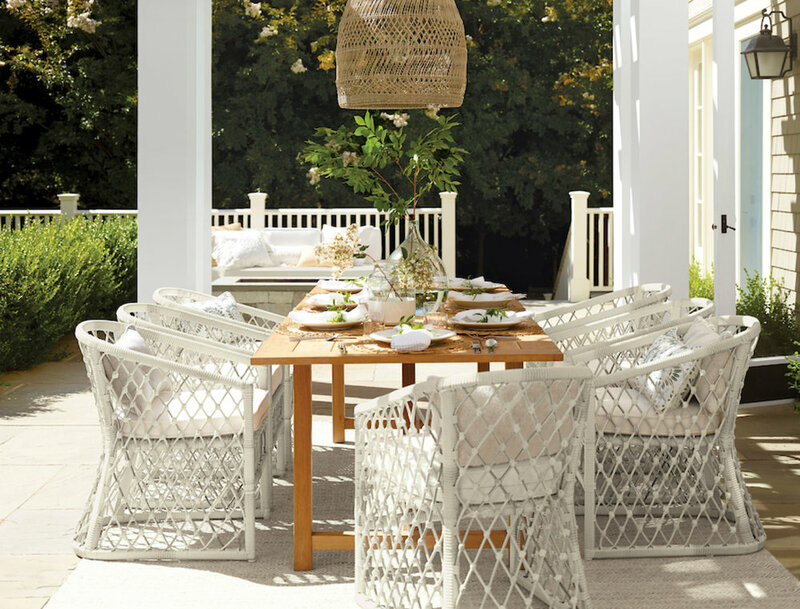 It’s *almost* patio season which means we are dreaming about al fresco dining under this outdoor pendant! You can view all of the sale items here… be sure to take advantage of the deal before it ends! We’ve had lots of sunshine and warm weather here in Nashville this week, which has us excited to introduce a few spring staples into our winter wardrobe! 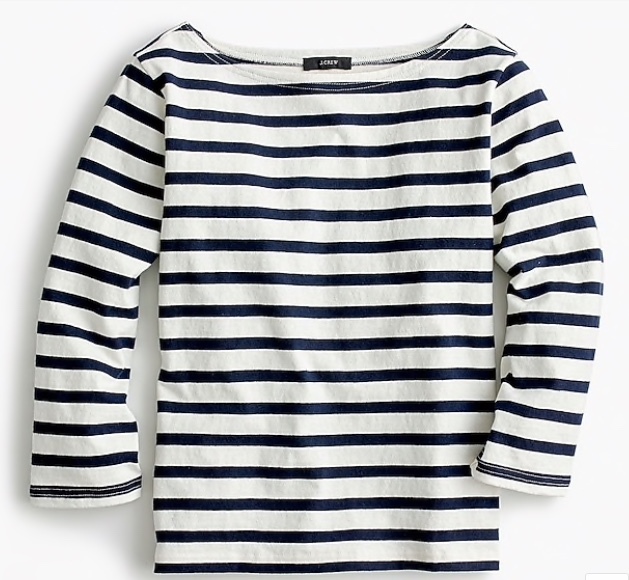 And lucky for us J.Crew perfectly timed their new releases with an INCREDIBLE flash sale (60% off sale items, 25% off full-price items with the code FLASH). We’re also eyeing this cozy green winter parka that’s marked down to $112 and this cozy ribbed mock-neck top for $16! 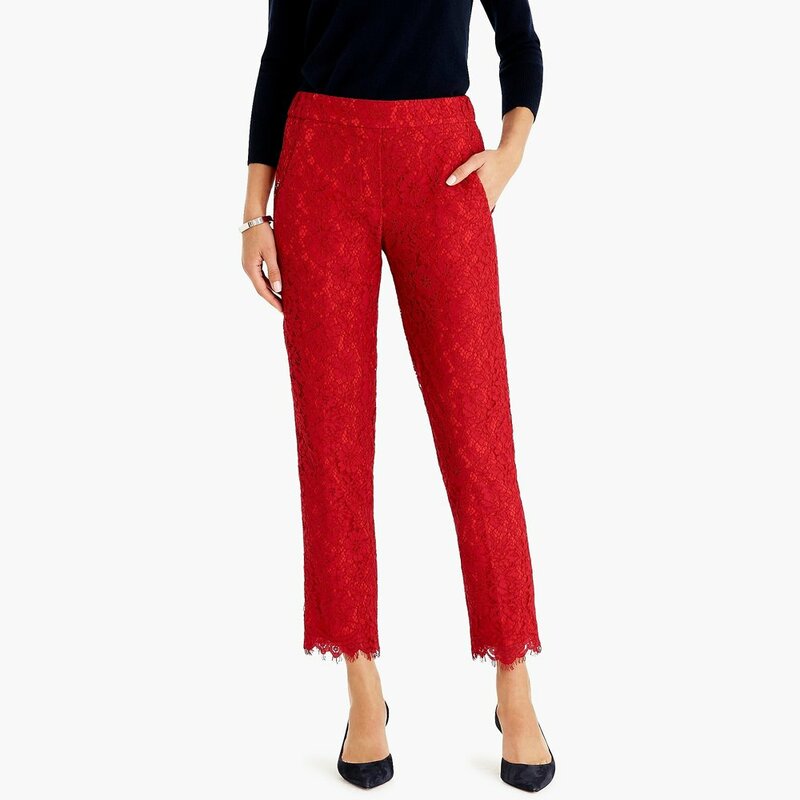 And it’s such a great time to stock up on our favorite cashmere sweaters and pick up on some of our winter wardrobe favorites (like this cashmere sweater, suede slippers in a cheery color, and these pearl hoop earrings). We are finding some absolute steals, too - just scored our favorite lace pants in black and navy for $38 (we bought the red at Christmas time and have worn them to death, they run true to size) this adorable one-piece swimsuit for under $10 (limited sizes -hurry! 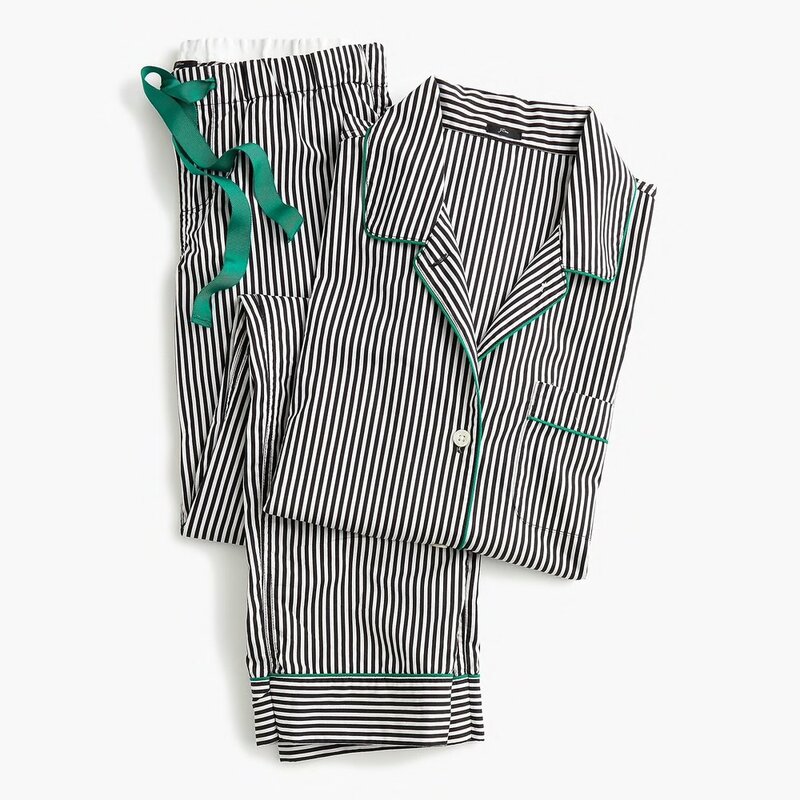 ), we snapped up this darling green bow-tie blouse for $22 (we bought the x-small, runs a touch big), and these bright and happy red-striped pajamas for $17 (also runs big)! In a few weeks, we are heading to Palm Springs so we are taking full advantage of the amazing sale on swimwear! We just snagged this, this and this swimsuit (less than $10/ea) to add to our getaway wardrobe. Our favorite warm-weather hat is on sale (never happens) so we are picking up an extra one because we love it so much and it’s so cute with these espadrille wedge sandals we’re eyeing for Spring. Looking for other great sale finds? We’ve just updated our Nordstrom sale folder and we are highlighting other sales we love in our stories on Instagram.